Prizes to be handed out for Local, National and Global Efforts to Unite the Jewish Community. Nominations are now being accepted for the second annual Jerusalem Unity Prize. The prestigious award was originally created by Jerusalem Mayor Nir Barkat and the Sha'ar, Frenkel and Yifrah families in memories of their sons Gilad, Naftali and Eyal. 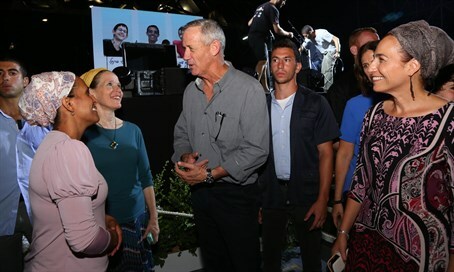 At the launch of this year’s nomination process, Prize Committee Chair Mayor Nir Barkat announced that former IDF Chief of Staff Benny Gantz and Jewish Agency Chairman Natan Sharansky have been appointed to the Prize Committee. The prize is being given out in partnership with GESHER, and was designed to harness the spirit of national unity and solidarity that came out of the kidnapping and subsequent murders of the three teens. It aims to inspire continued work to bridge the divides within the greater Jewish community locally, nationally and internationally. Nominations for the Prize will be accepted via an online site which was specially set up for the competition: www.unityprize.org. Nominations can be handed in until February 4, 2016. Prizes of up to 300,000 shekels total will be awarded in three separate categories for unity initiatives on the local, national and global levels. In the first contest held in 2015, the awards were presented to Brigadier General Ram Shmueli, Harav Chacham David Menachem, Nifgashim B’Shvil Yisrael and the Chabad House of Bangkok, Thailand. The Prize will be presented on Unity Day which will take place in early June 2016. the day will be marked by programs already being scheduled across Israel and the Diaspora which are expected to involve more than one million people across the globe. Lieutenant General Gantz welcomed the appointment by saying, "My position allowed me a unique perspective to appreciate the power of national unity and I truly believe that the security of our future, as a People and as a country, relies on the strength we possess when united. I am excited to be able to encourage and support those who believe in the importance of working together, and I consider it a privilege to be a part of the Jerusalem Unity Prize committee."